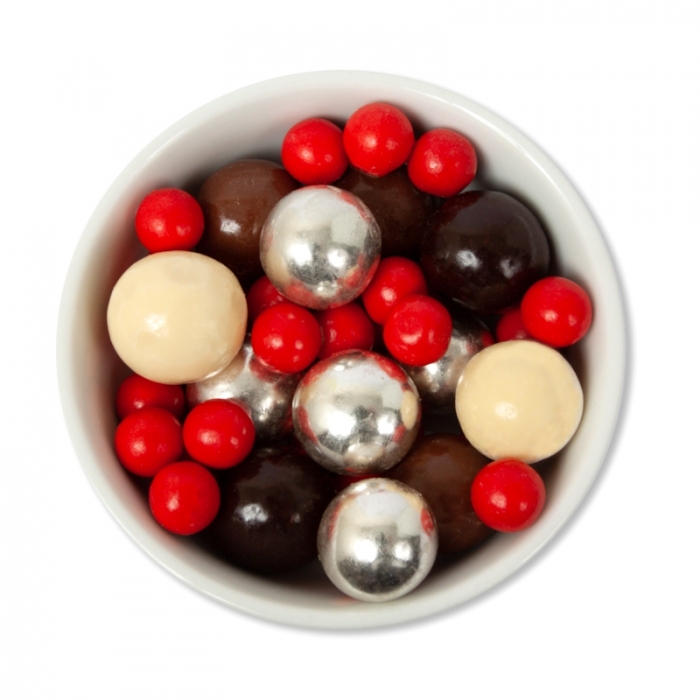 Red, Brown, White and Silver Crunchy Chocolate Coated Rudolph Poop ! . Please note : this are sold subject to arriving with small & medium cracks in the outer coating due and discolouration to the heat when being sent by mail. Please consider this when purchasing as we have no control over the weather. If this is a concern please do not purchase as the cracks and discolouration do not constitute a refund.